The Knitting Pirate » In Which the Pirate Knits a Lot. « In Which the Pirate Flies and Knits. In Which the Pirate Knits a Lot. Pirate-Husband and the road had a bit of an altercation Sunday night. He is (mostly) fine. At least one broken rib and possibly two more; we'll know for sure tomorrow, after the radiologist comes to look at the x-rays. I'm not sure what the damage is to the motorcycle. So today has been another knitting day. The Trekking Ribbed Sock is now 3.5" long in the leg. I knit in the waiting room of the urgent care center, I knit while I waited for the doctor to come look at Pirate-Husband, I knit while he was x-rayed, I knit while I waited for his prescription to be filled. The doctor thought the sock was the coolest thing ever. "I knit," she said, "but I never thought of doing socks. I'm pretty much a scarf knitter." I told her that if she could knit a scarf, she could knit a sock. While we were waiting for the x-ray tech, Pirate-Husband said that now that I'm so quick at simple sock-knitting, maybe he would possibly potentially like a pair of socks of his own, if I were so inclined. I'm so relieved that he's not more seriously injured, I'm actually considering it. 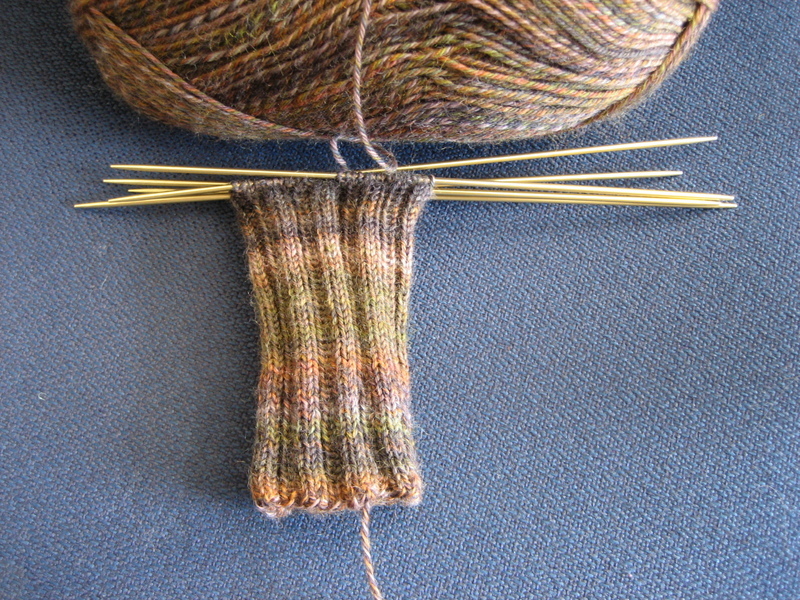 This entry was posted on Monday, October 29th, 2007 at 14:38 and is filed under pomatomus, sock, trekking90 sock. You can follow any responses to this entry through the RSS 2.0 feed. Both comments and pings are currently closed. eek! motorcycles scare me! i would use this as an excuse to get rid of it :) glad to hear he's okay, though!